This weekend, my parents visited me to talk all things wedding. I took them to the venue and we were all (once again) overwhelmed by all of the choices and planning we have to do. 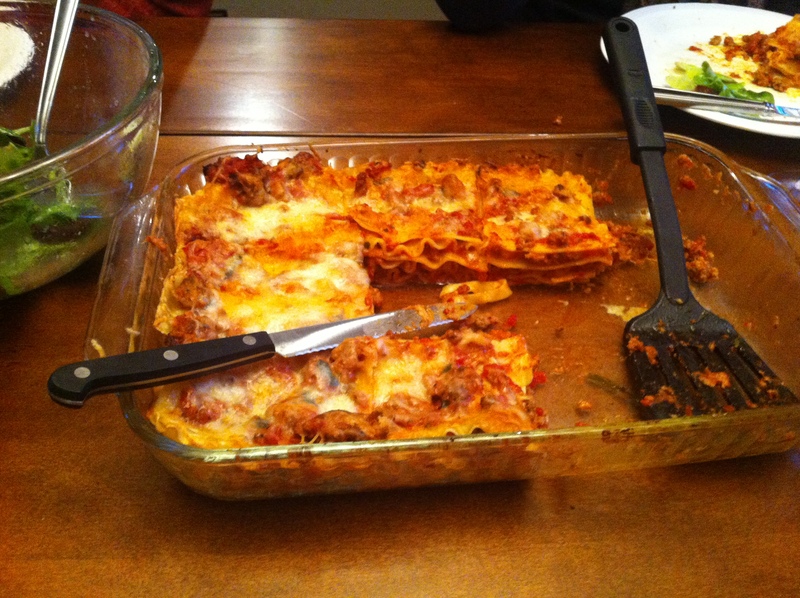 When we got back to my place, I was grateful to pop open a bottle of wine and indulge in some homemade lasagne. 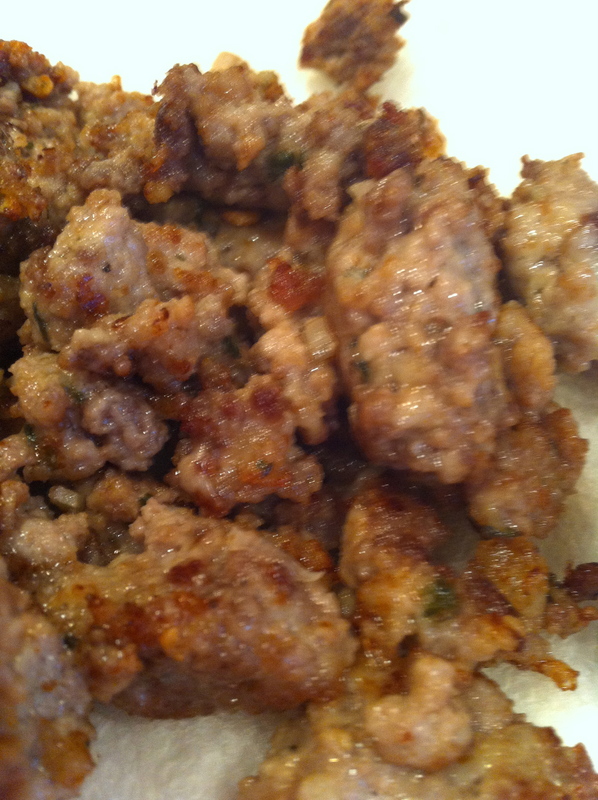 I have made this recipe several times and it is just amazing: the secret is in how you prepare the meat. And the tomatoes. Always use San Marzano when you can, it really does make a difference. To give the lasagne a hearty meaty taste and texture, you want to prepare the meat as you would for a meatball. Then you drop small balls of the meat into a pan with hot vegetable oil, smash it lightly with a spatula and allow it to brown on all sides. You continue this step in batches until all of the meat is browned. Although, I often get tired after batch 4 or so and just dump the rest of the meat in. I’ve decided this is OK because I really let the meat brown and at this point there is less meat so the pan isn’t overcrowded. This recipe does have several steps, but it’s worth it! Boil water in a pot large enough for the noodles–make sure you salt the water– and cook the noodles according to package directions. When the noodles are finished, drain them and lay them out flat on the counter (I put down foil and lay them on that. Some people use baking sheets–but why get more dishes dirty? Working in batches, drop the meat into the pan in small balls. Press lightly on each with your spatula to slightly flatten them. Brown the meat on all sides and then remove to a paper towel to drain. 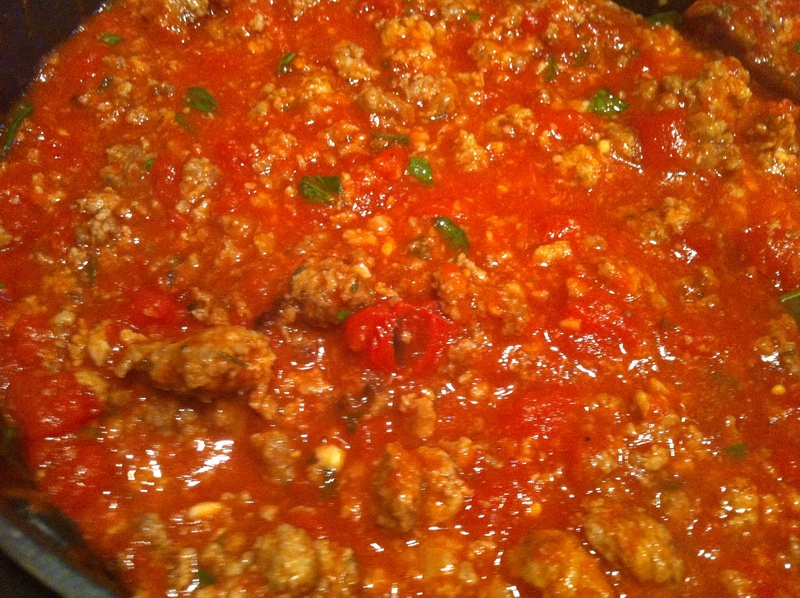 For the sauce, mix all ingredients together and let simmer for a few minutes. After this, stir in the meat. 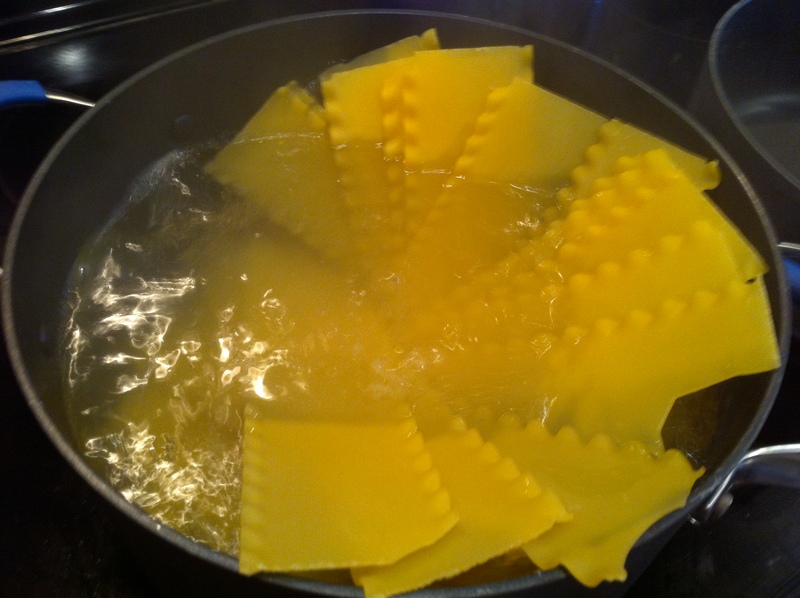 Repeat these layers until you fill the pan: Noodle, sauce, cheese. End with the cheese on top. Note: You can assemble everything up to a day in advance. Add a little to the heating time if you are heating the lasagne straight out of the fridge. You can also assemble the lasagne and then freeze it for a quick homemade meal in the future. the best lasagne I’ve ever had-it really is wonderful!